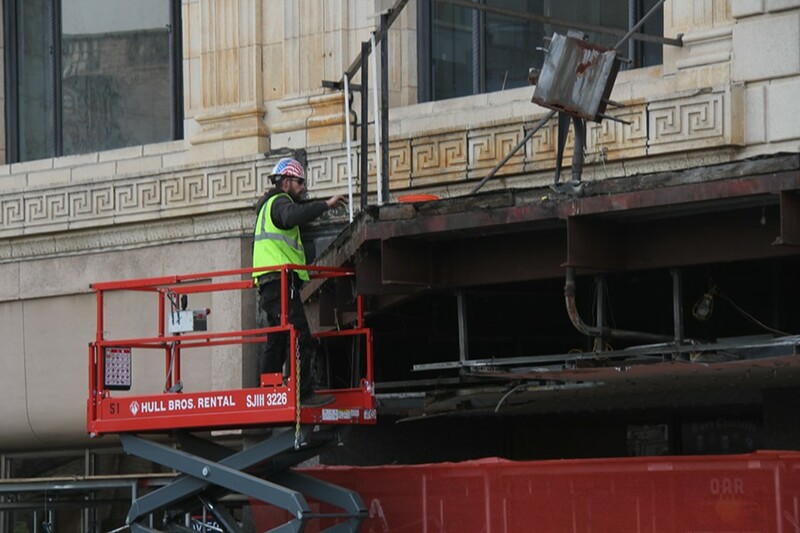 A construction worker removing the final pieces from the historic Fillmore marquee. There’s a sense of pride among the people and institutions that refused to leave Detroit through tumultuous times, and the Fillmore Theatre located near Grand Circus Park has seen more than most. 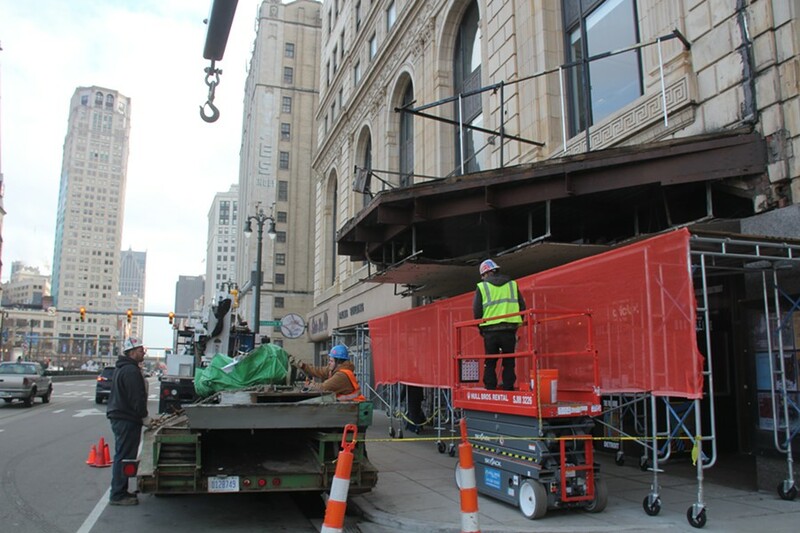 But today, the theatre’s iconic marquee on Woodward Ave. was taken down. The 93-year-old theatre’s iconic signage was built in the 1950s, according to the Detroit Free Press, but today it became a casualty of joint renovations by operator Live Nation and building owner Forbes Management. The vintage marquee, which used individual lettering to announce the theater’s schedule, is set to be replaced by a new digital marquee. "It'll be similar to the Fox (Theatre) ... it will replicate what's out there now, it will just be more modern, all LED, the soffit will be redone, all LED lighting under there," General Manager Ben Doughty told the Detroit News. "It's going to be beautiful." Adam, who works security at the Palms building, which is connected to the Fillmore, preferred not to give his last name. Geno Deanda, who works on the construction crew that took the sign down, says the upgrade is a welcome change. An employee in the Palms Building, Terri, watched the marquee come down on her smoke break. A passer-by from Westside compared the old sign to that of the Fox Theatre, which was renovated in 2015 to include nearly a mile of neon lighting.